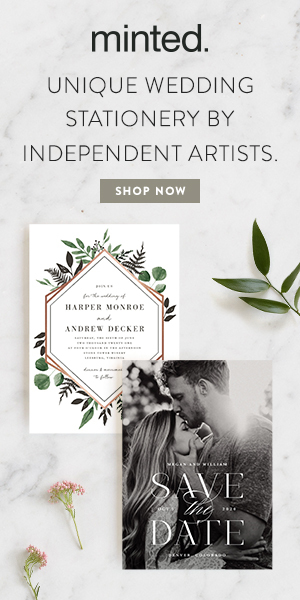 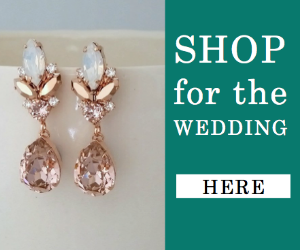 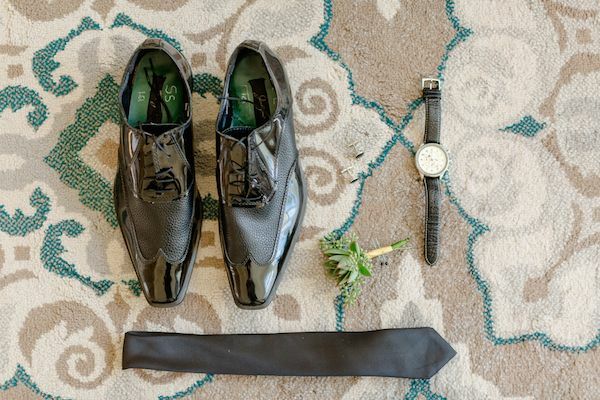 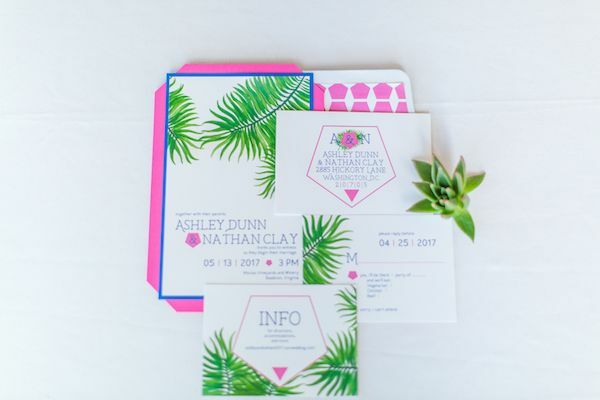 A modern botanical garden wedding? 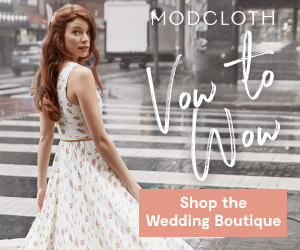 Where do we sign up? 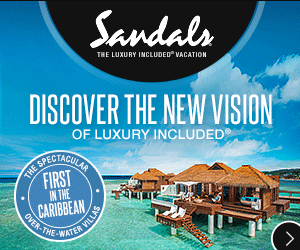 We'll tell you where! 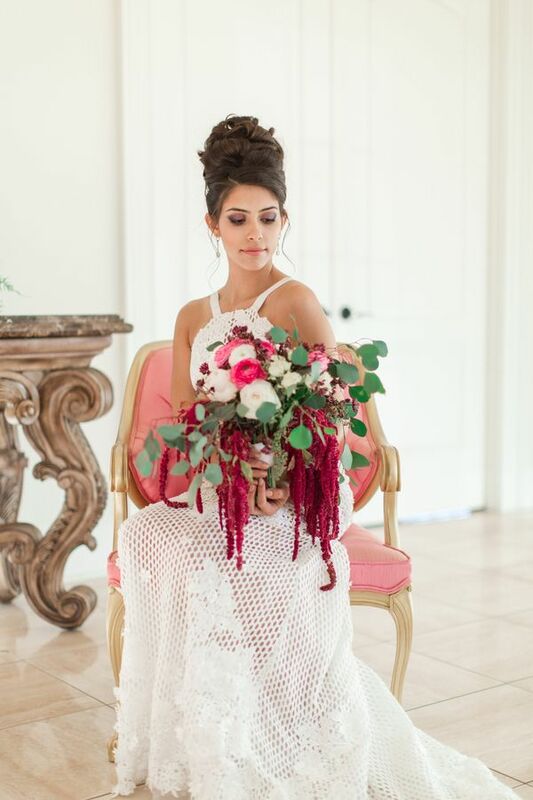 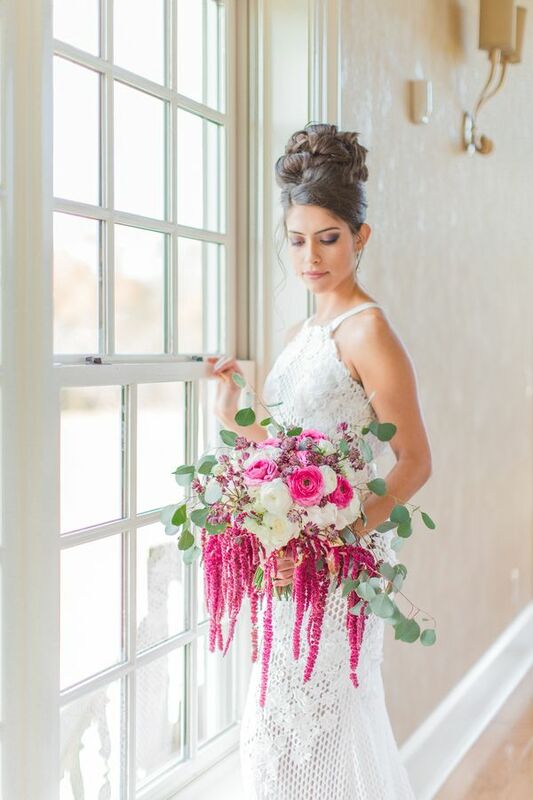 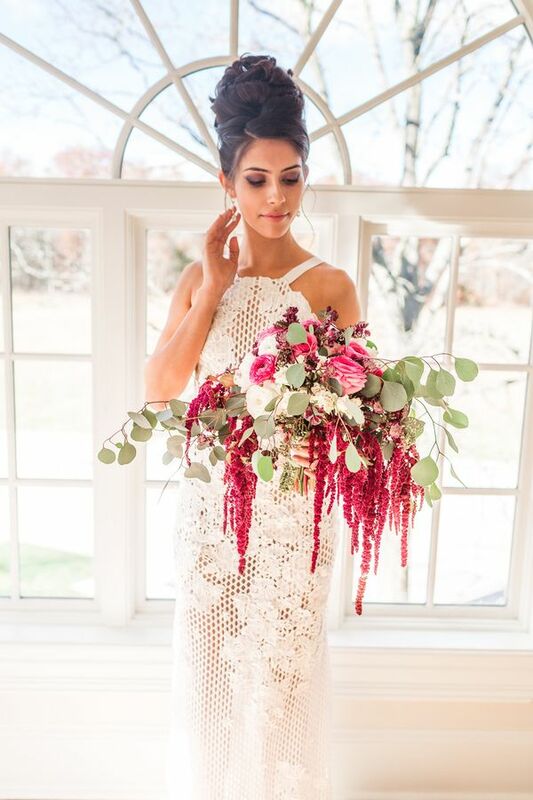 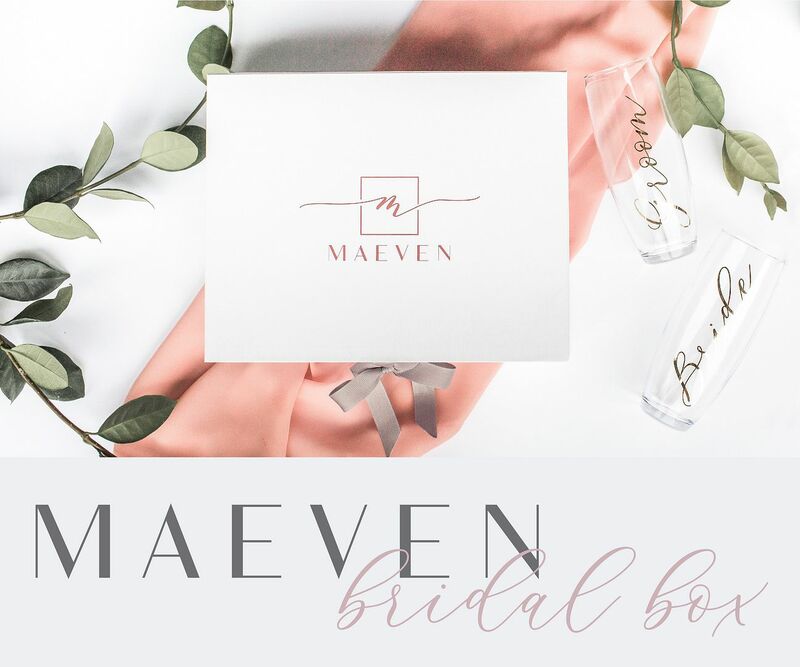 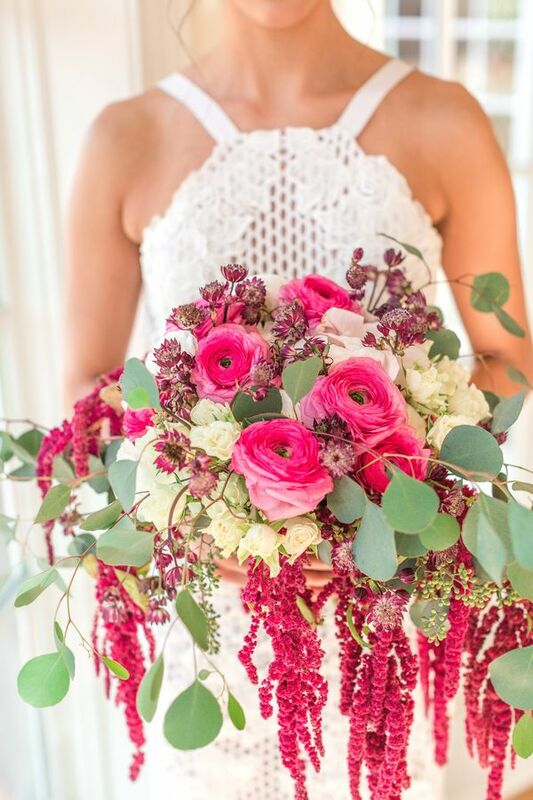 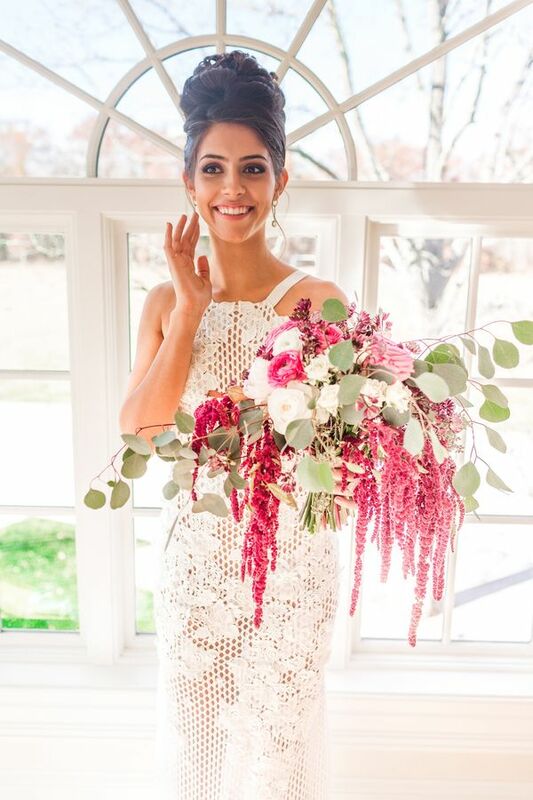 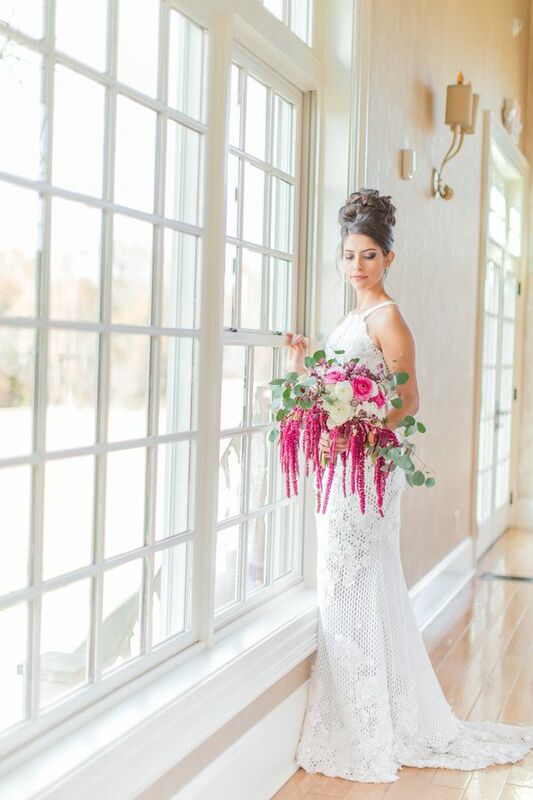 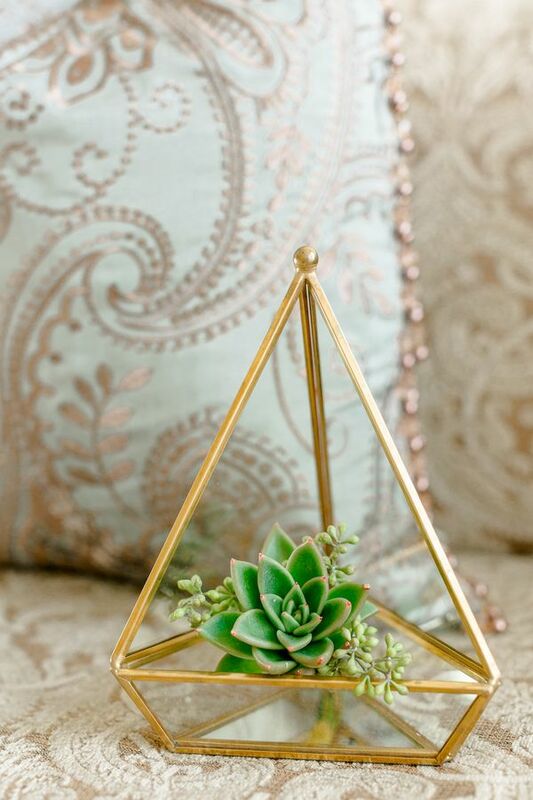 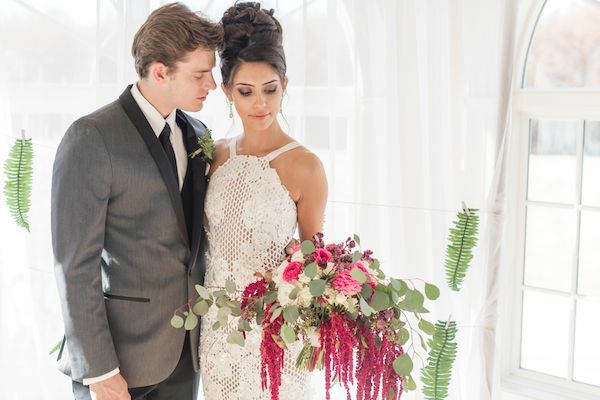 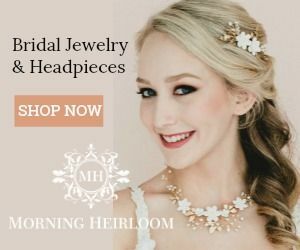 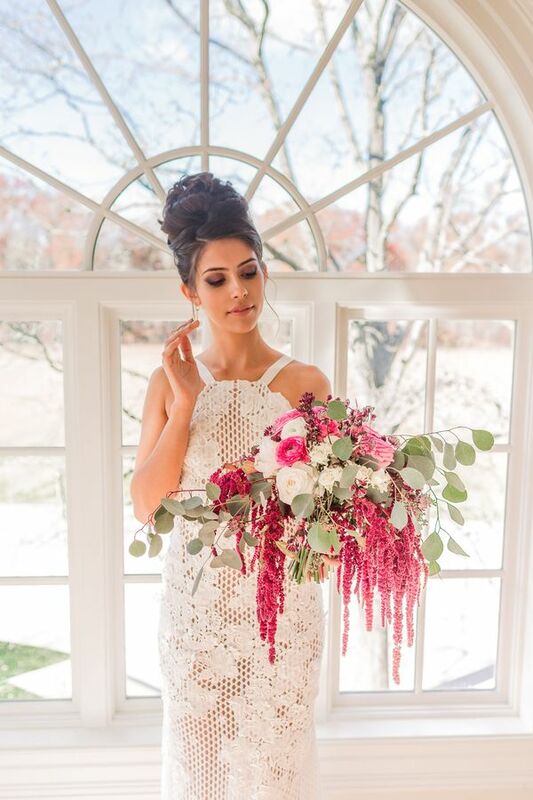 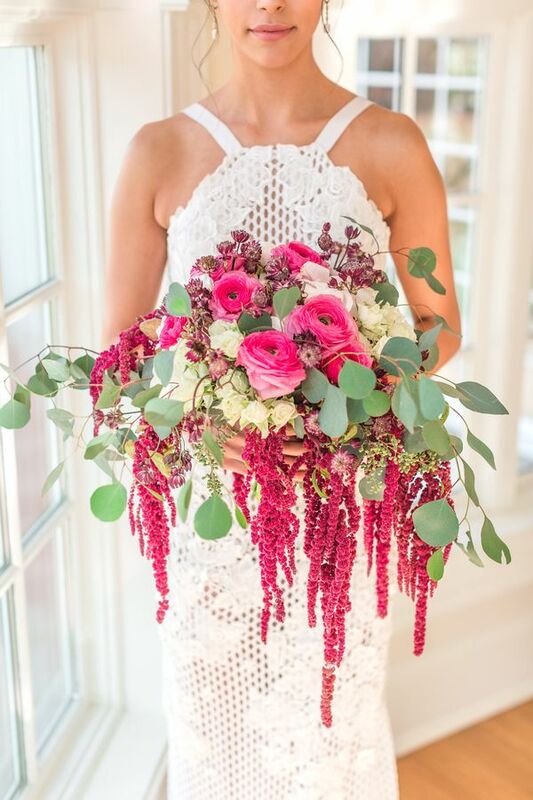 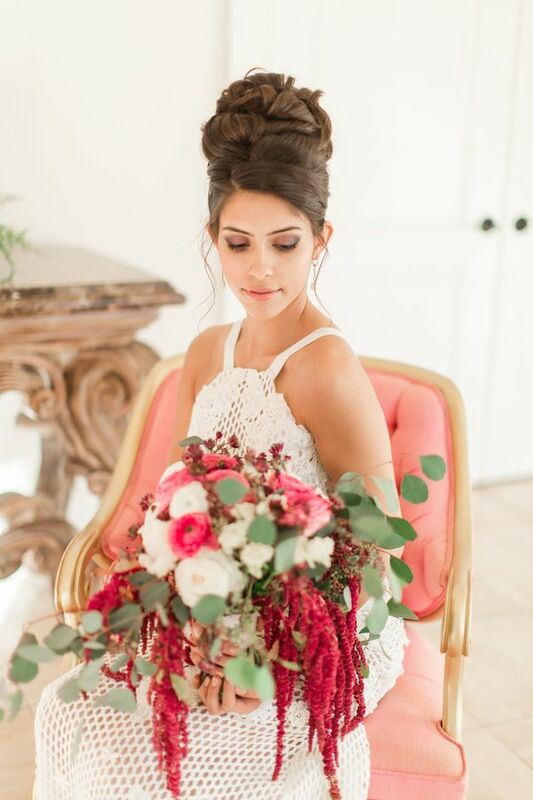 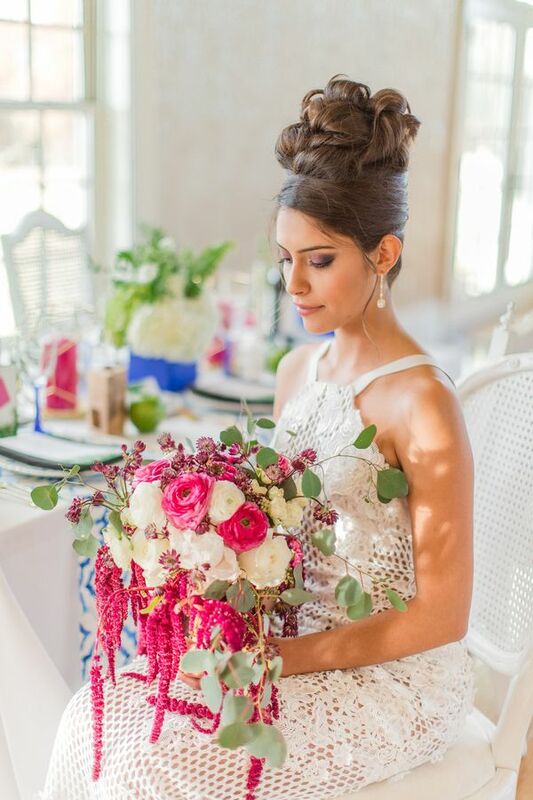 It's here and now and with event planning by vendor guide member, BodaMaestra, and florals by Chic Girl Flowers, this stunning shoot is sure to make your heart skip a beat! 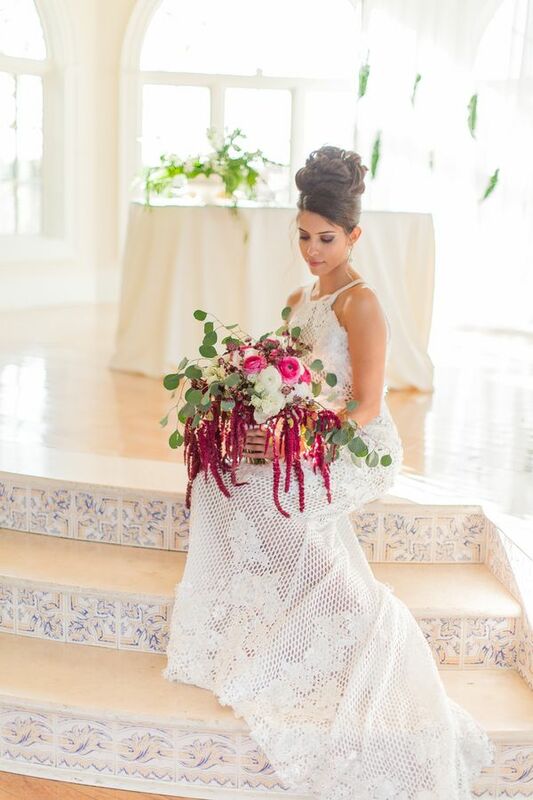 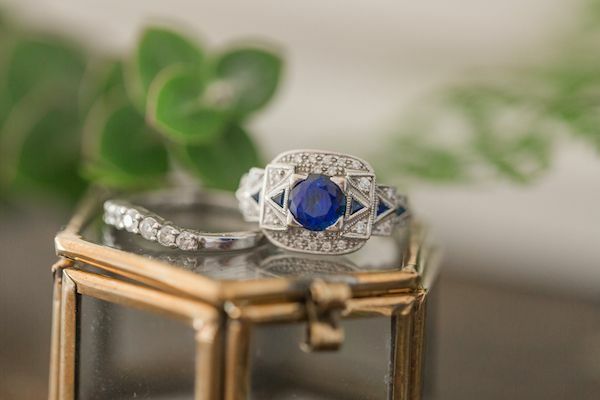 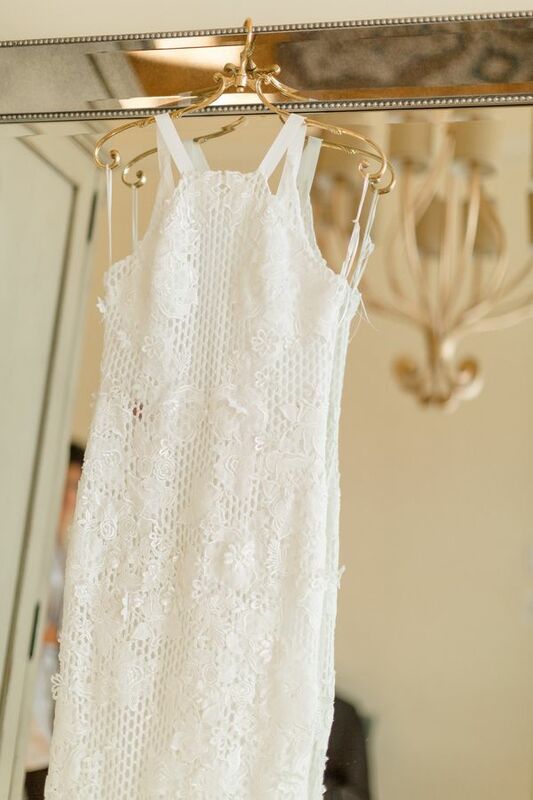 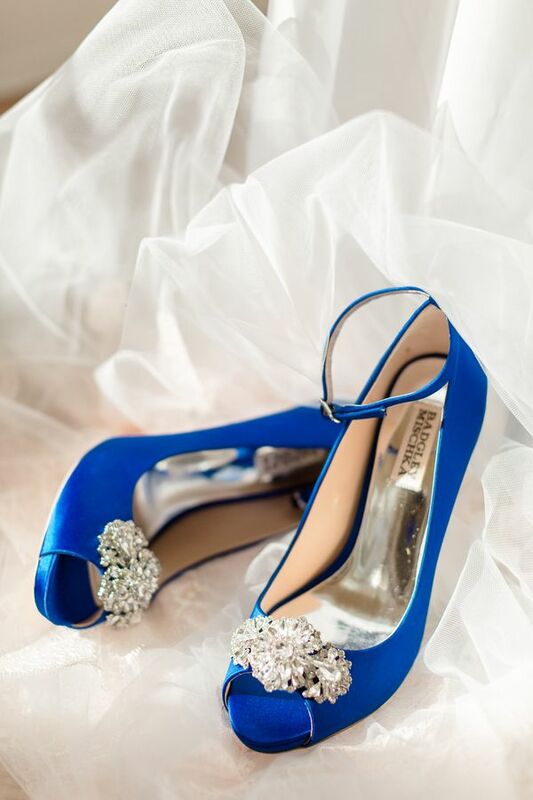 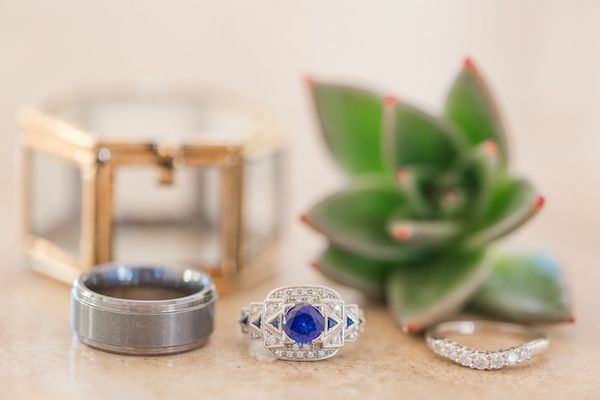 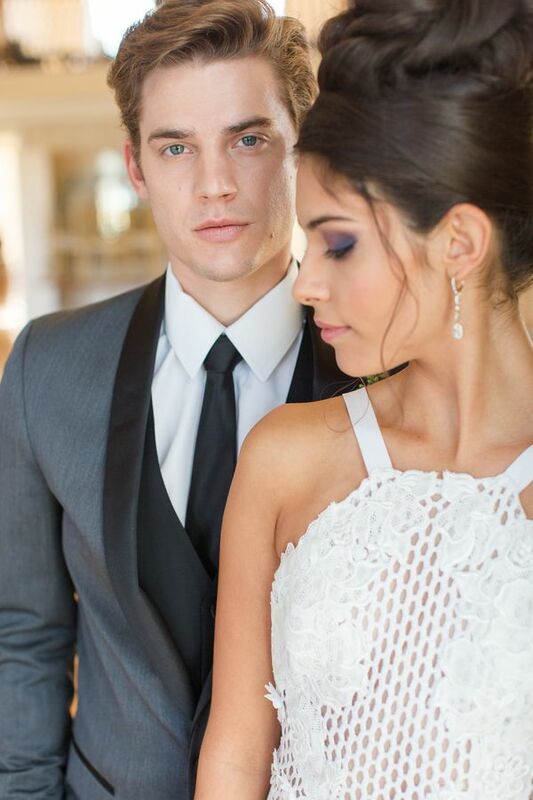 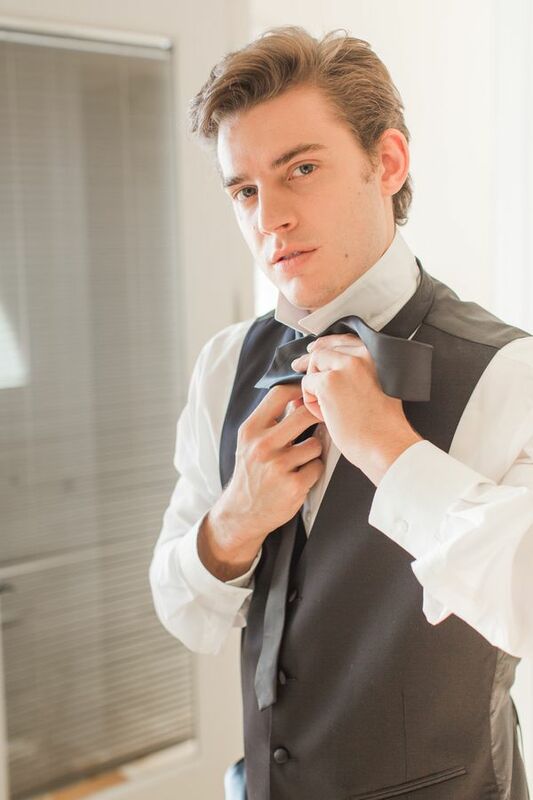 And lucky for us, NOVAES PHOTOGRAPHY was there to capture every colorful detail. 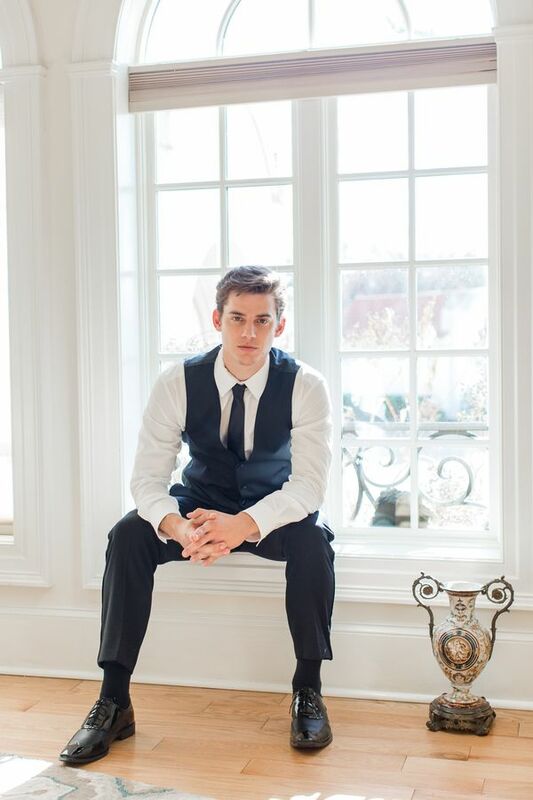 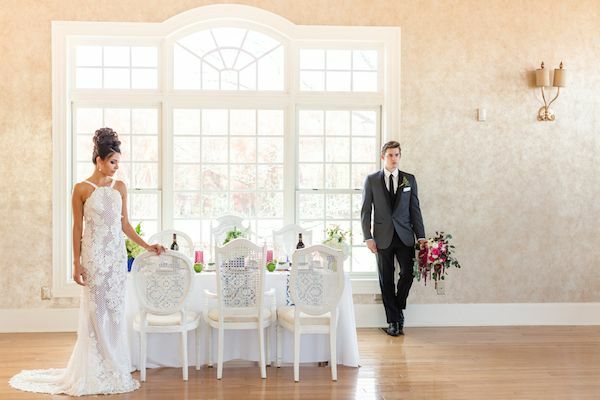 "Morais Vineyards, a Virginia winery, was the perfect setting for this contemporary stylized shoot. 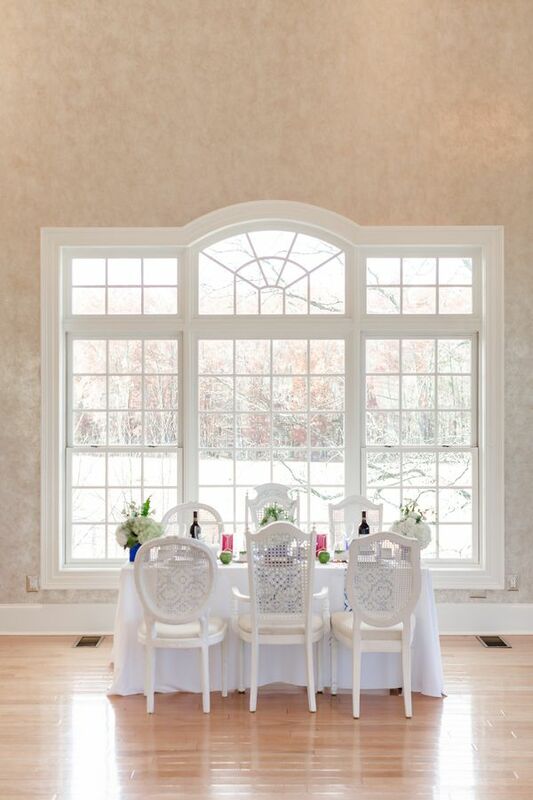 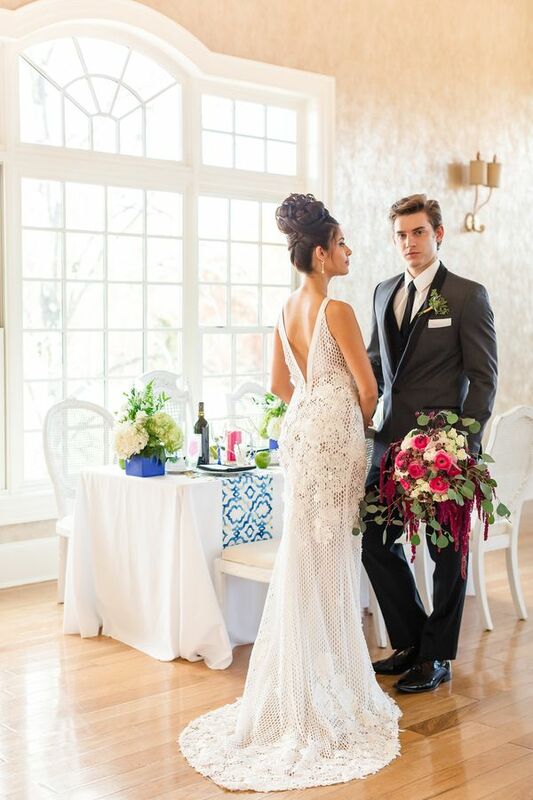 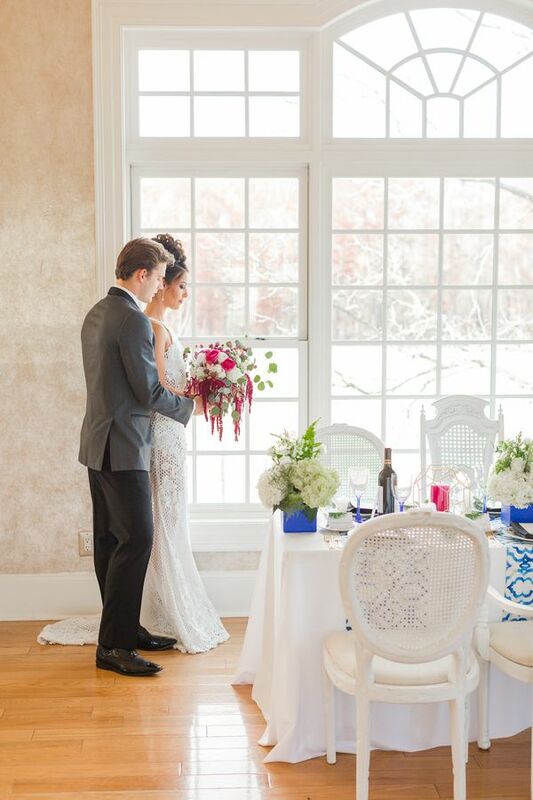 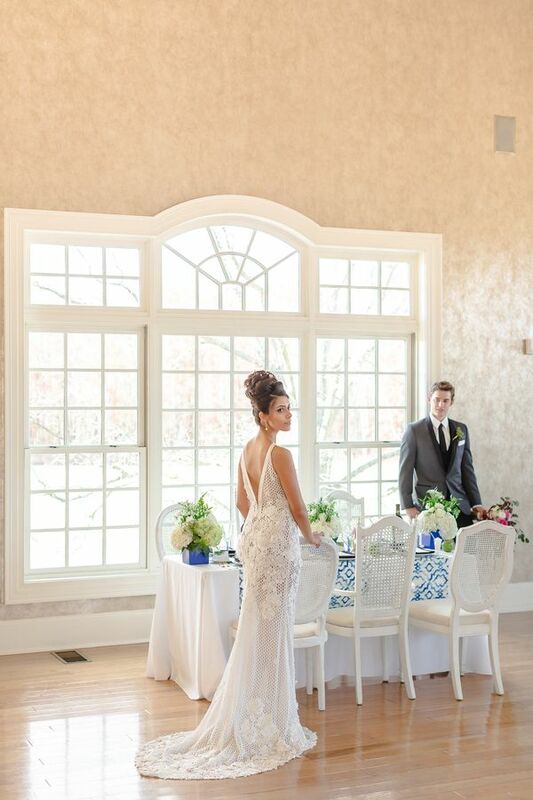 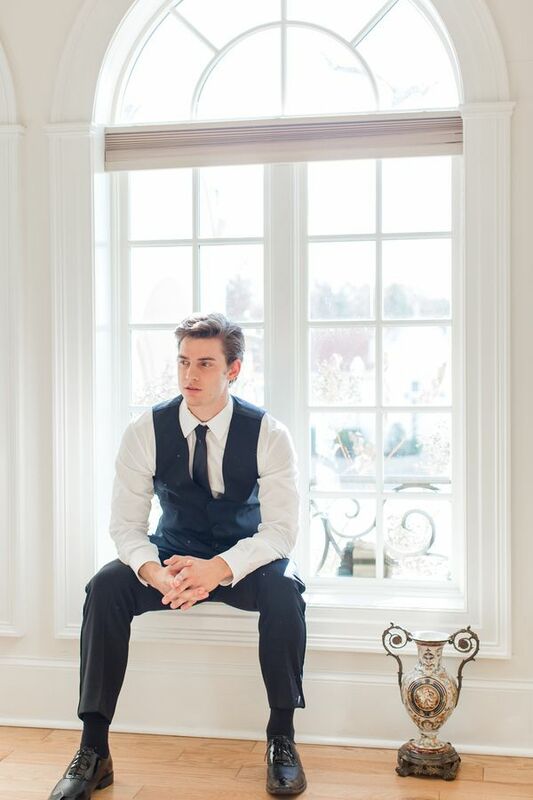 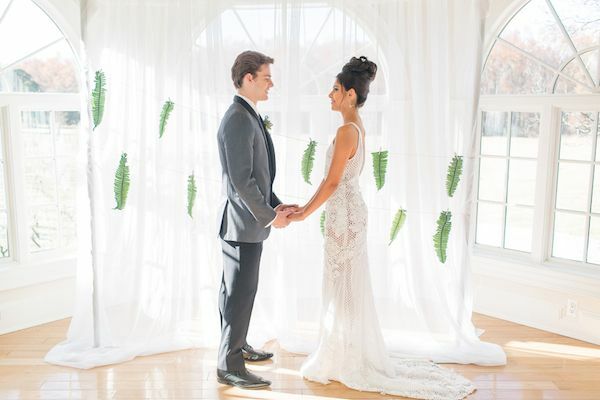 From the manicured grounds to classic European architecture, Morais continues to wow modern couples who love a timeless and elegant vibe (as well as great wine!)." 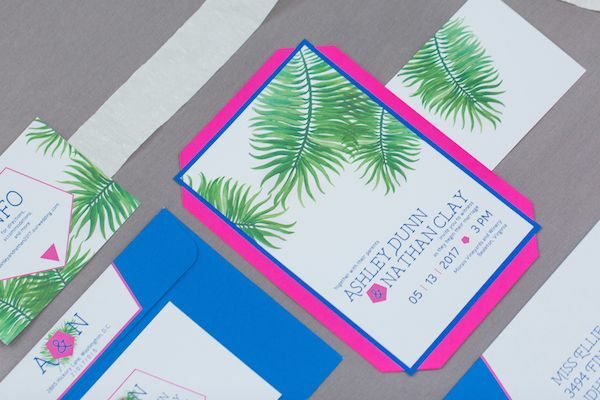 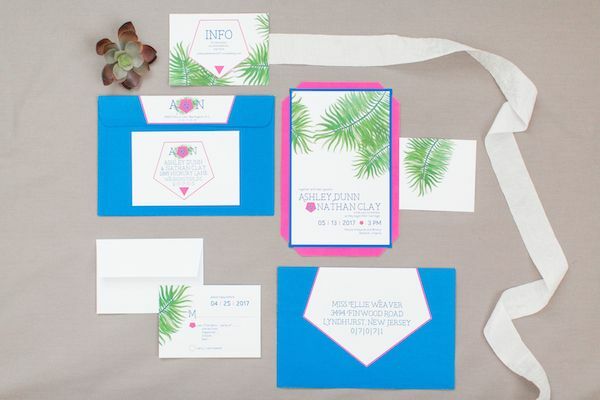 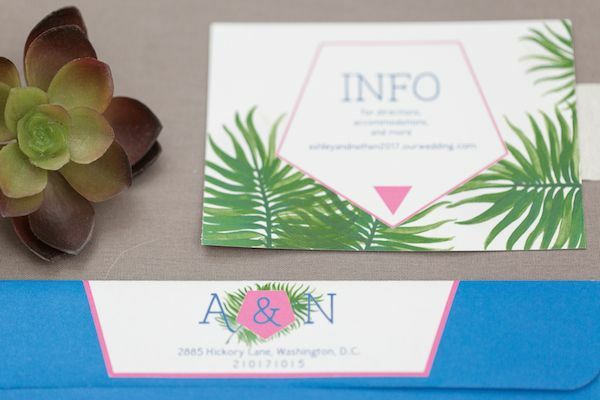 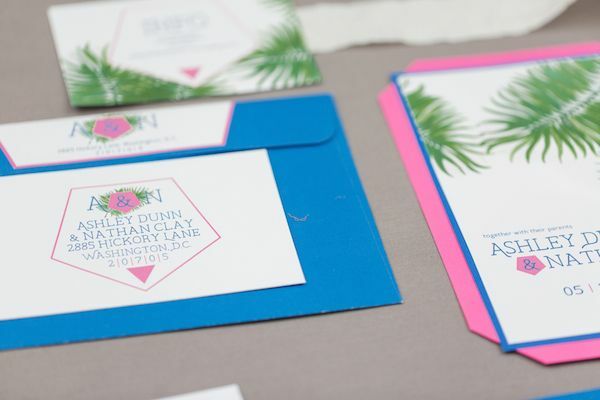 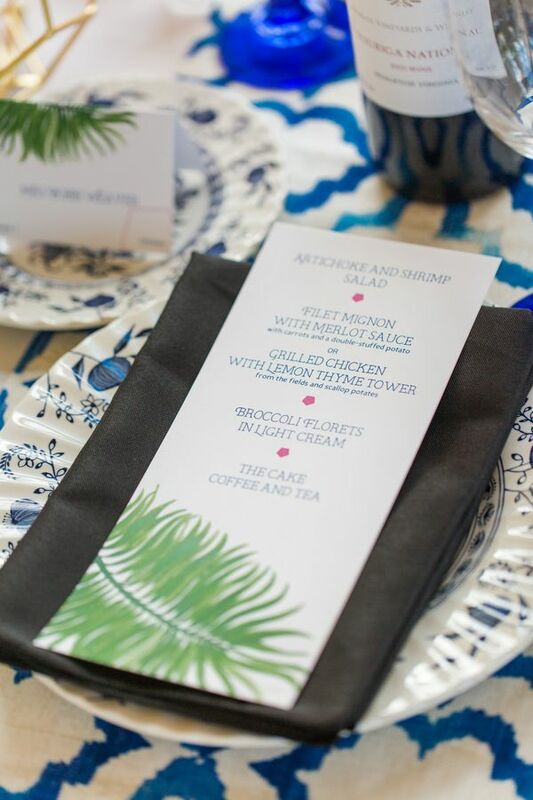 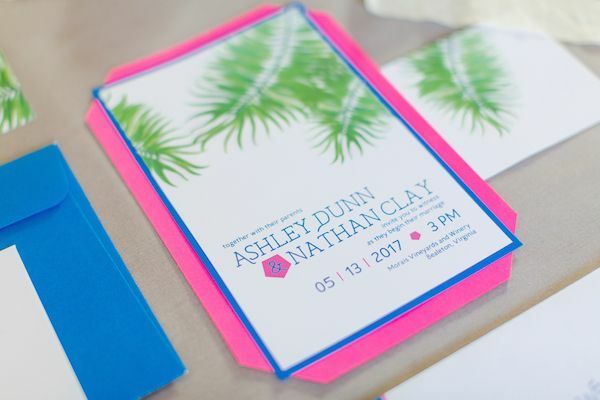 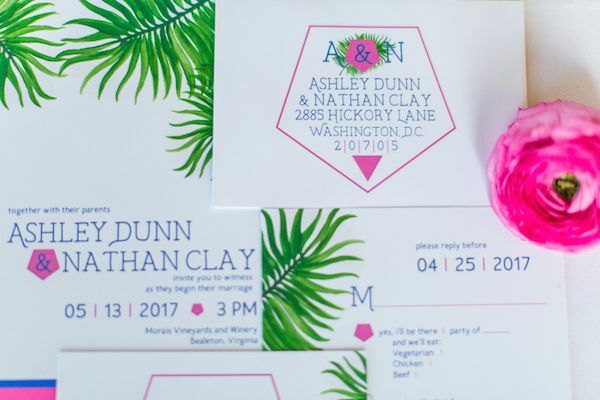 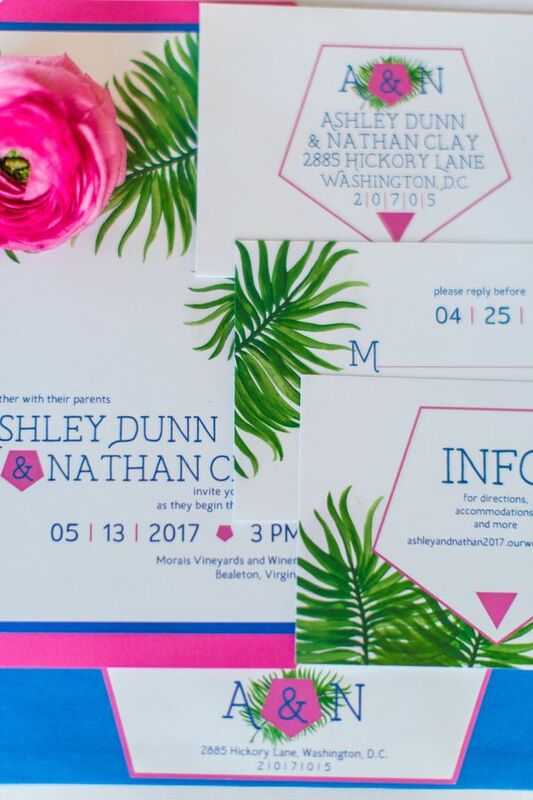 "Our design featured a clean and sleek look, showcasing the Pantone color of the year - greenery - in combination with bold shades of blue, hot magenta, and black." 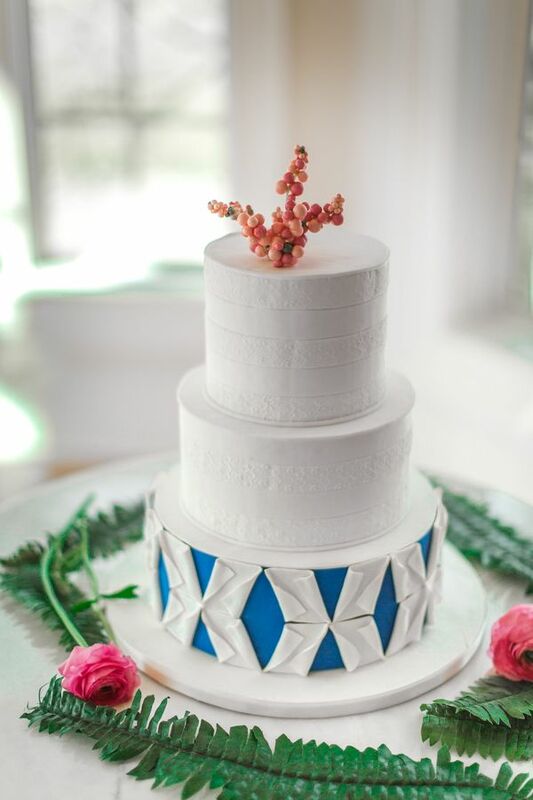 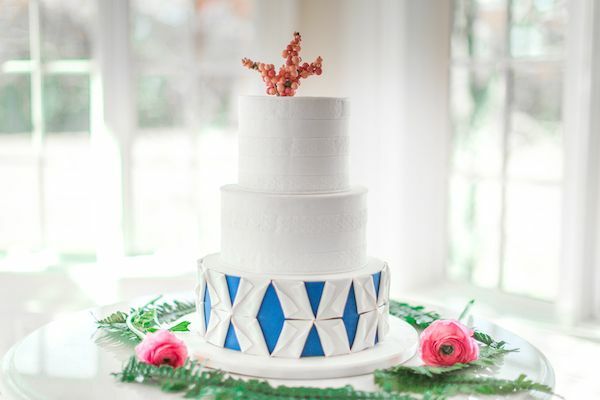 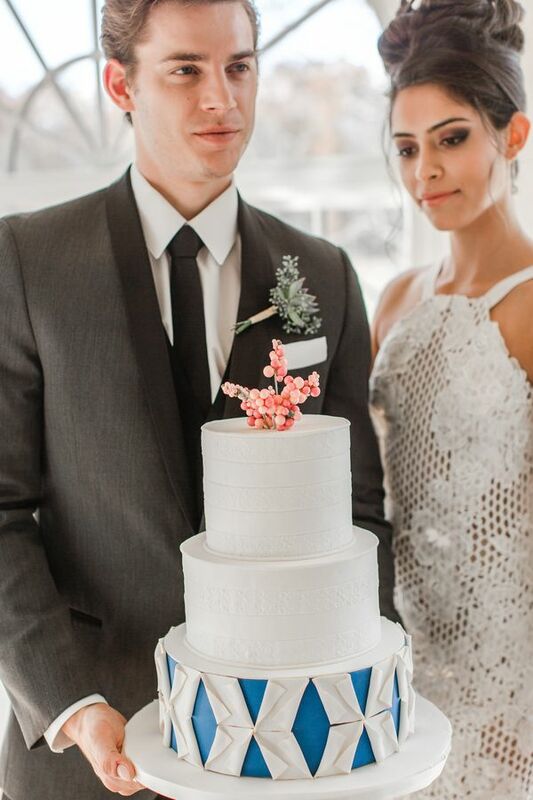 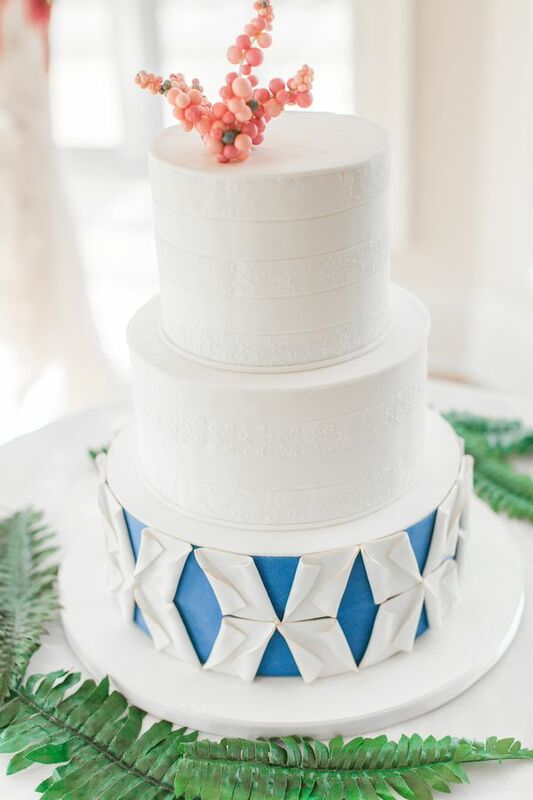 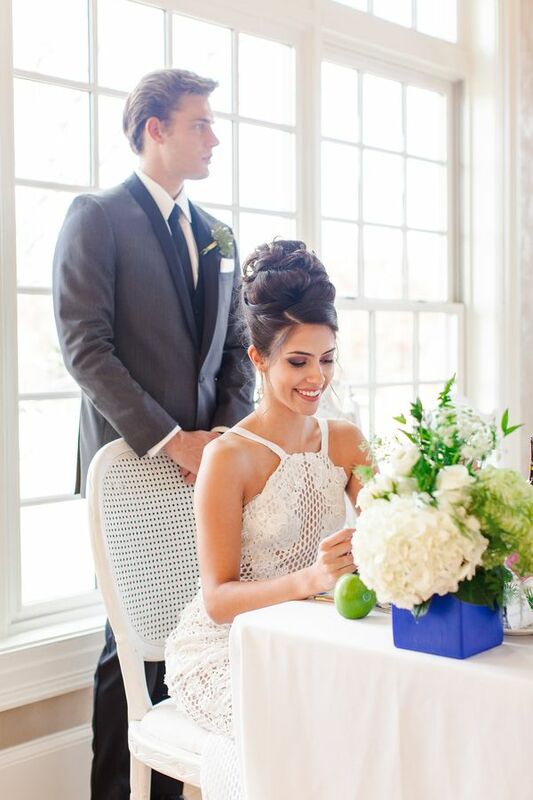 "We also incorporated honeycomb patterns throughout, as seen in the bridal gown, centerpieces, cake, chairs and stationery designs." 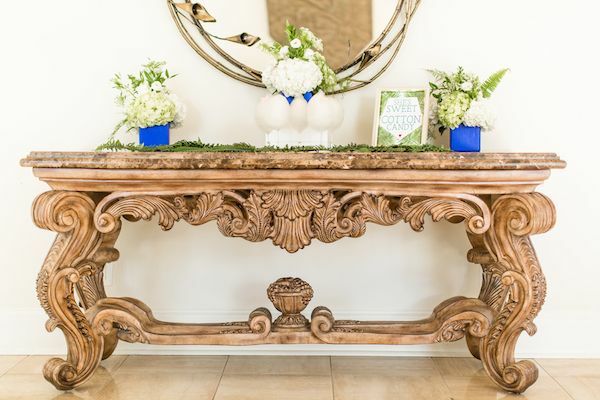 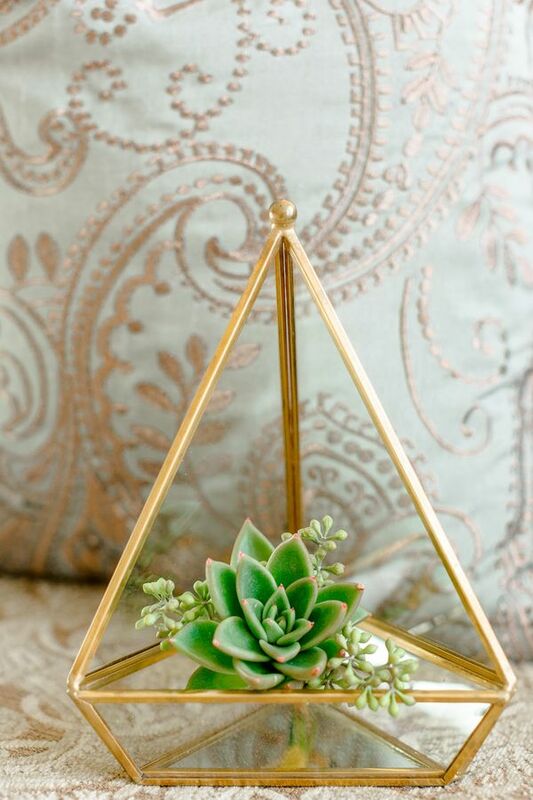 "Ferns, amarantus, spray roses, hydrangeas, succulents, stock, and eucalyptus were artfully arranged to give us a warm and inviting botanical ambiance." 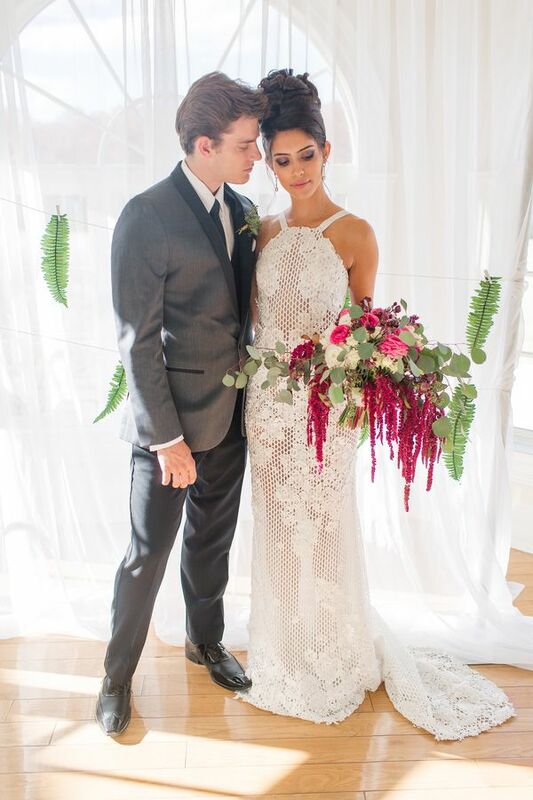 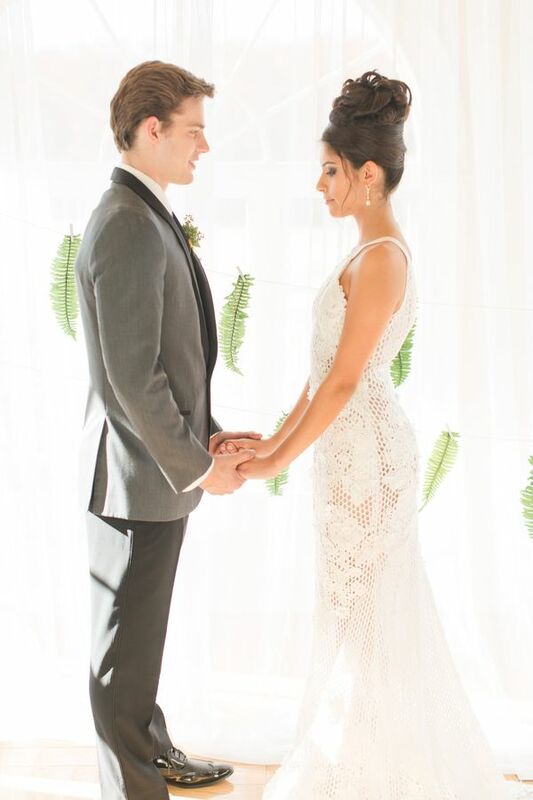 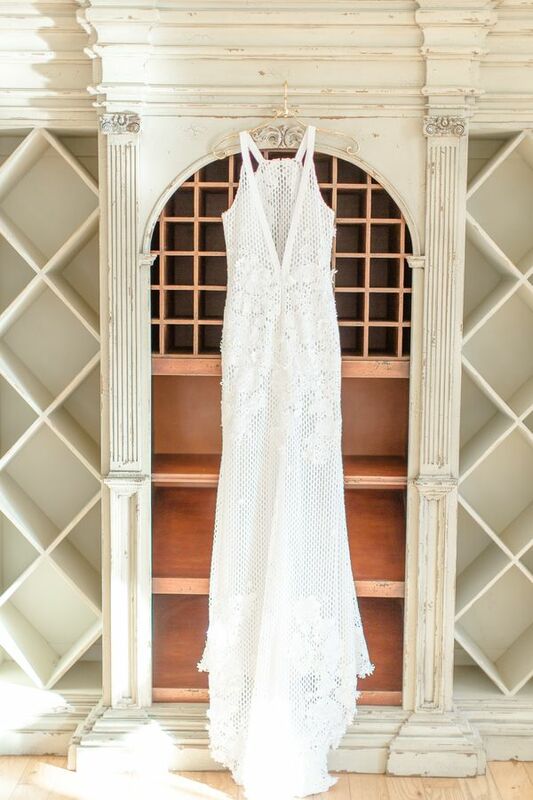 "The Francesca Miranda gown, Twiggy, was the ideal dress for this occasion! 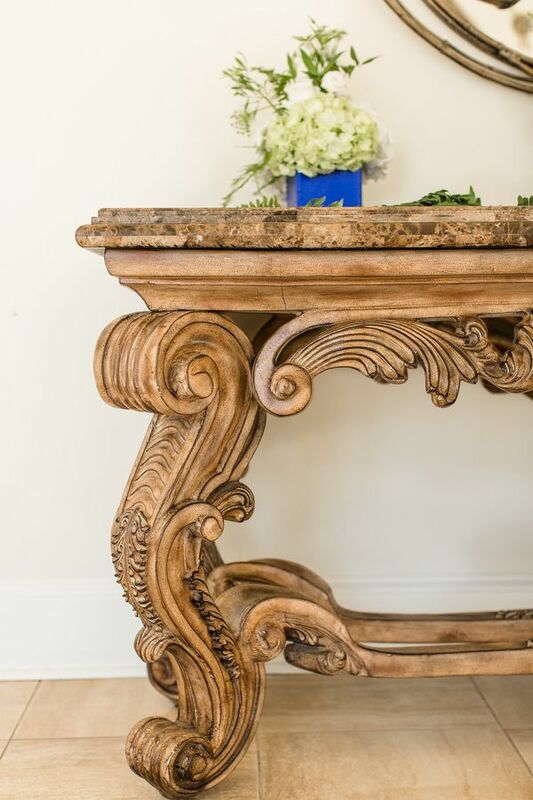 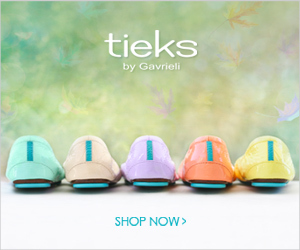 It's classy line evokes simplicity and elegance." 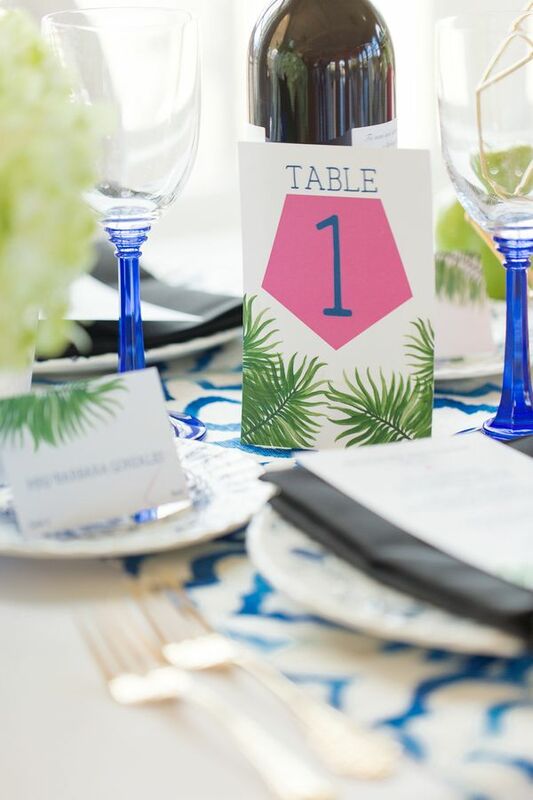 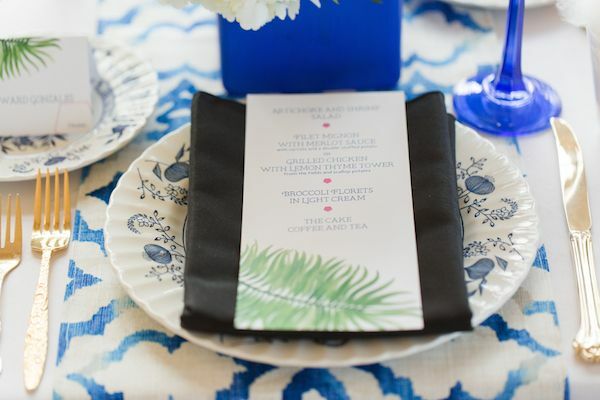 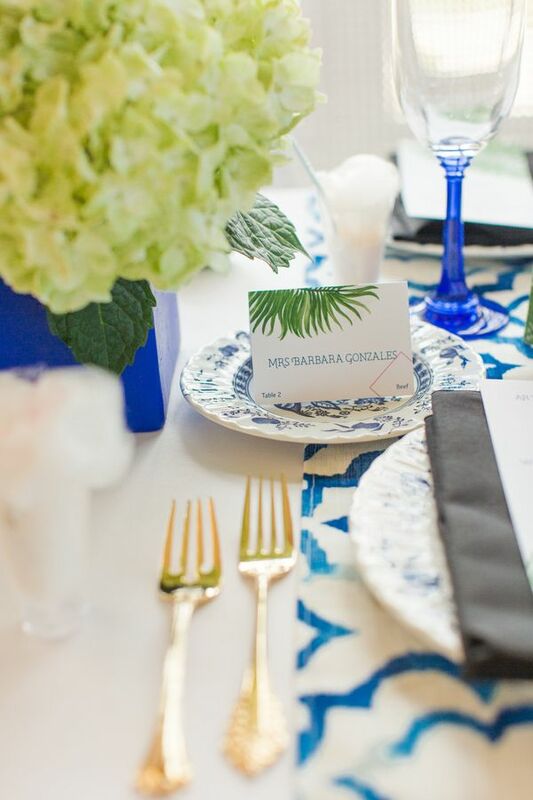 "An absolute favorite for this shoot were the custom-made table runners, which featured an eye-catching Moroccan pattern." 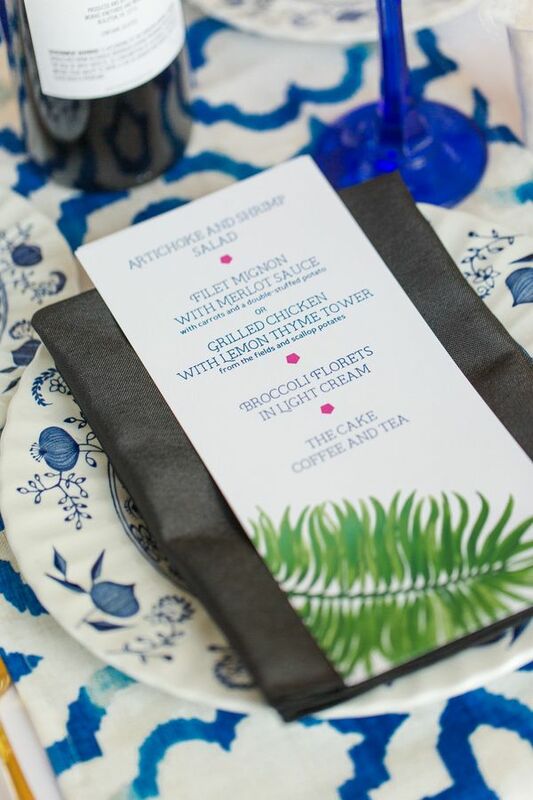 "Displayed in tandem with Blue Nordic china by Meakin, this tasteful combination provided just the right accent to our botanical theme." 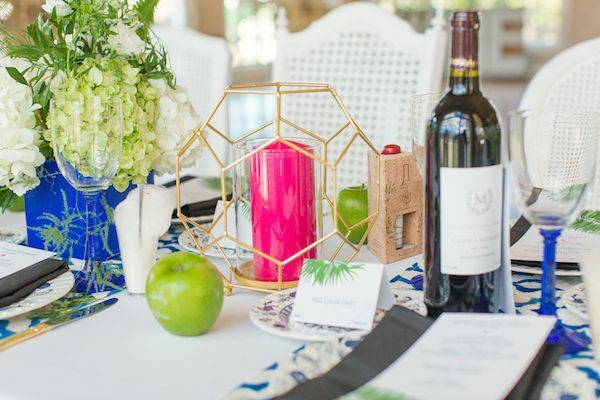 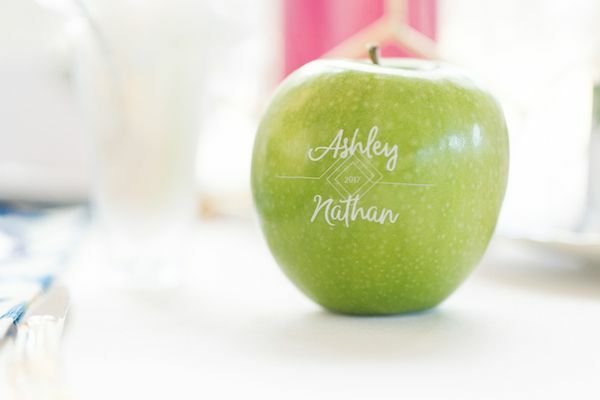 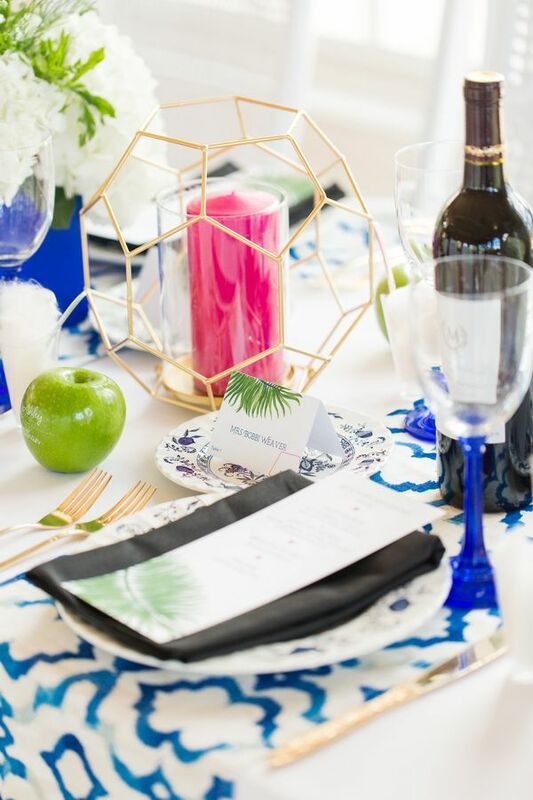 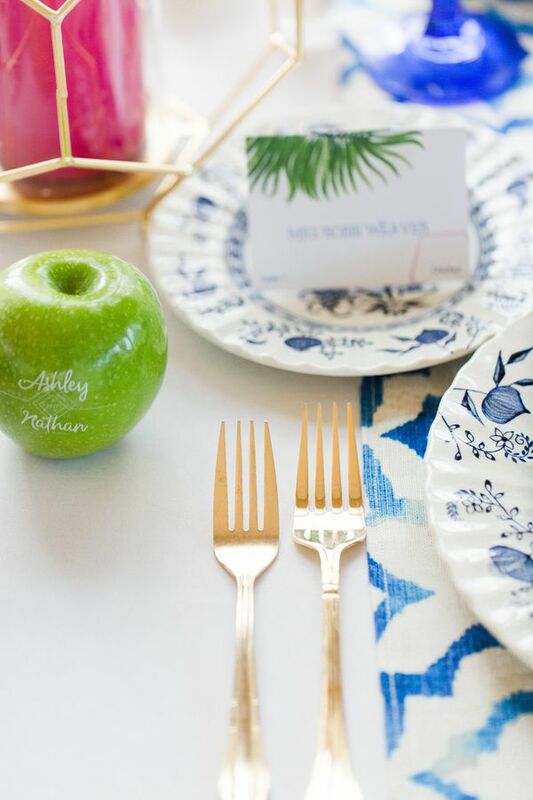 "We also wanted to inspire couples by using different edible (and healthy) favors, such as an imprinted apple with their names." 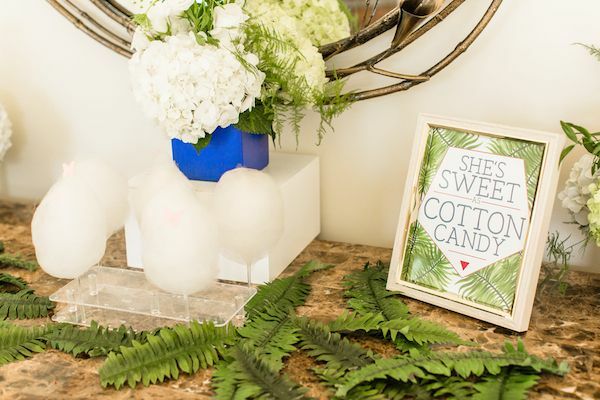 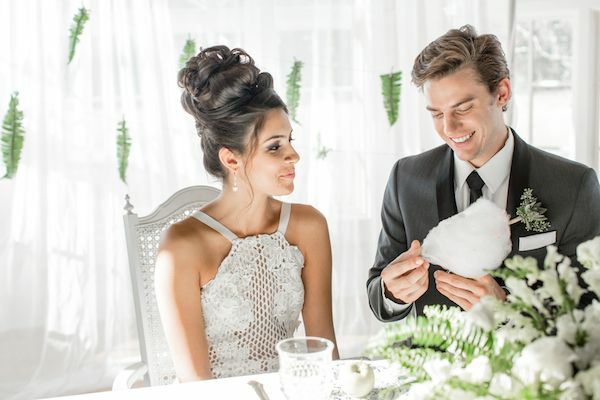 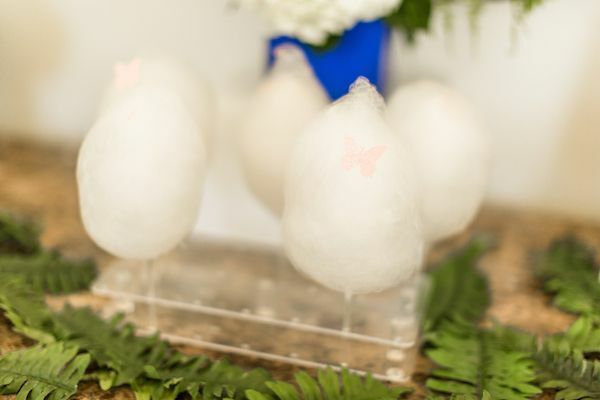 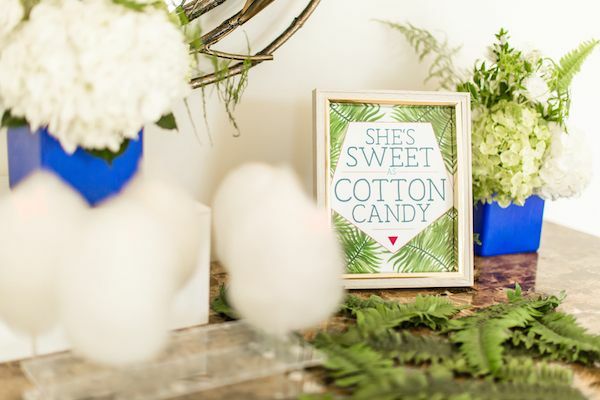 "Lastly, we incorporated cotton candy as a fun and unique dessert alternative." 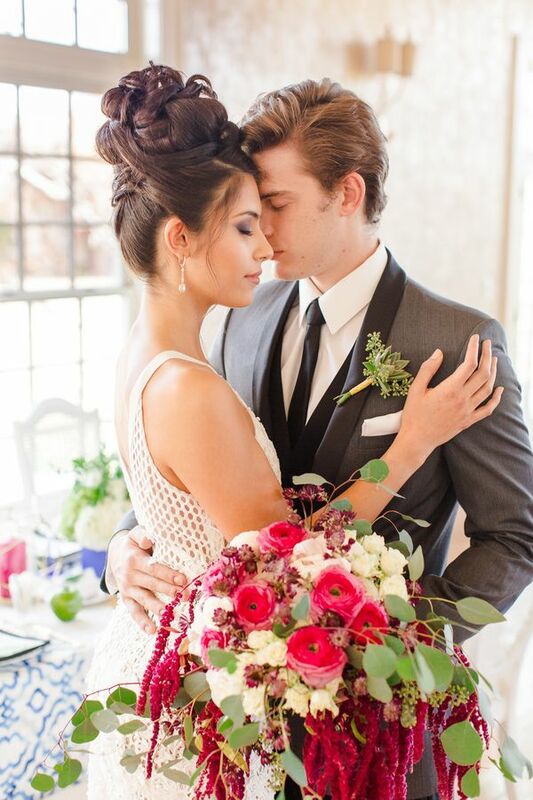 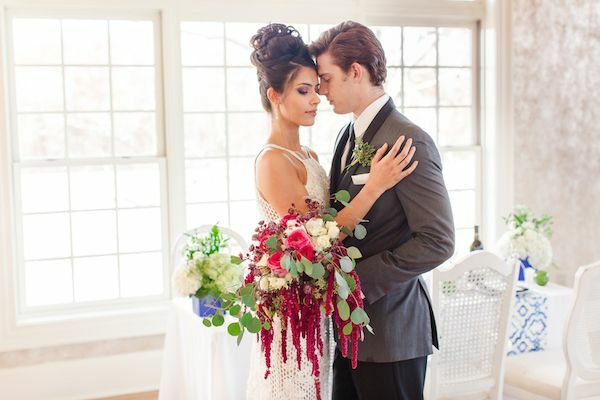 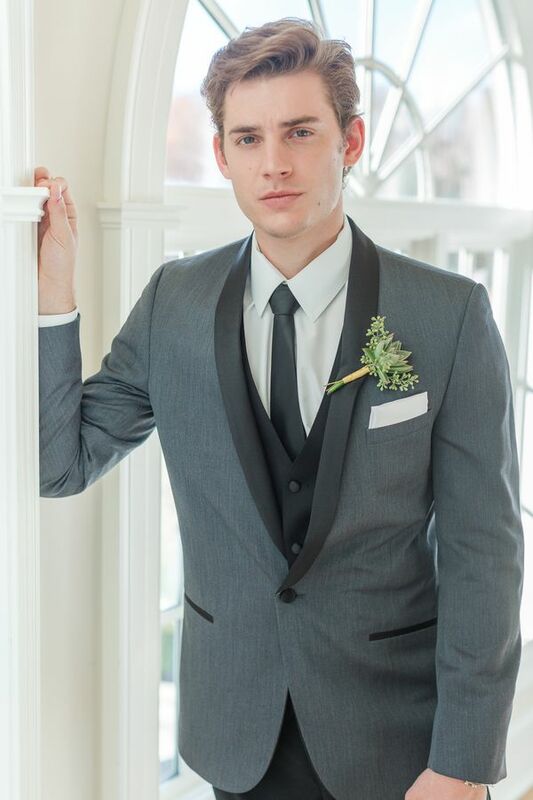 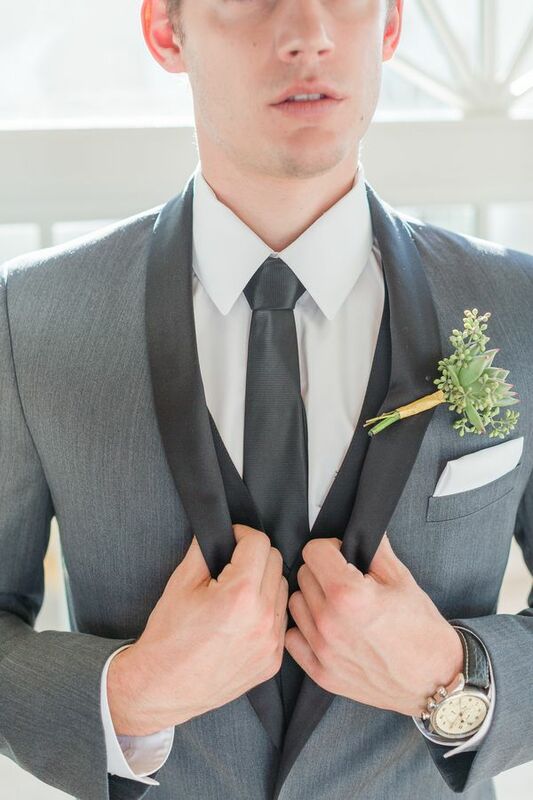 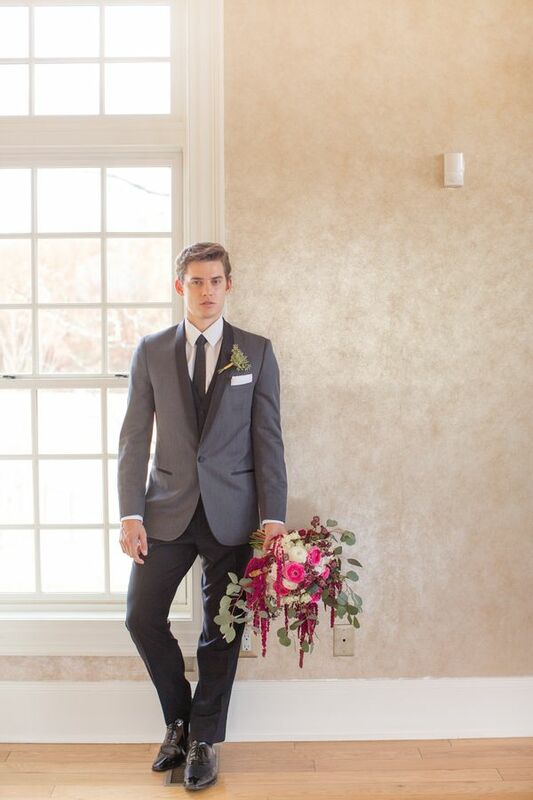 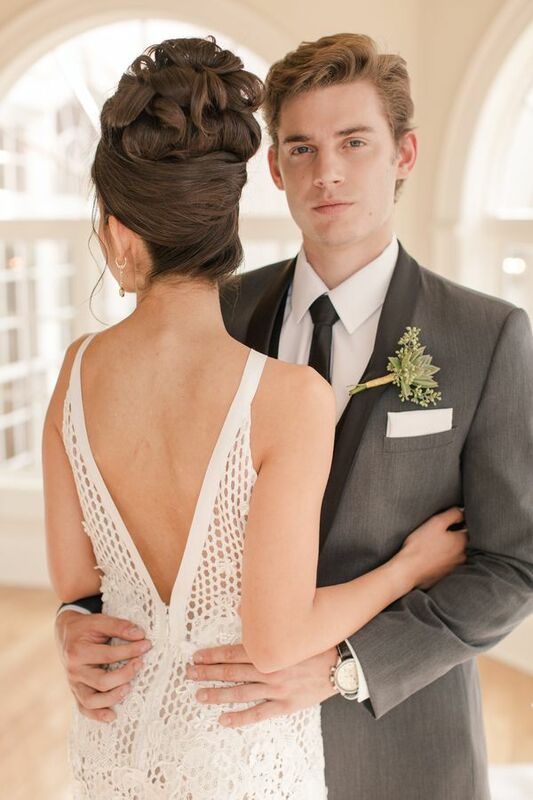 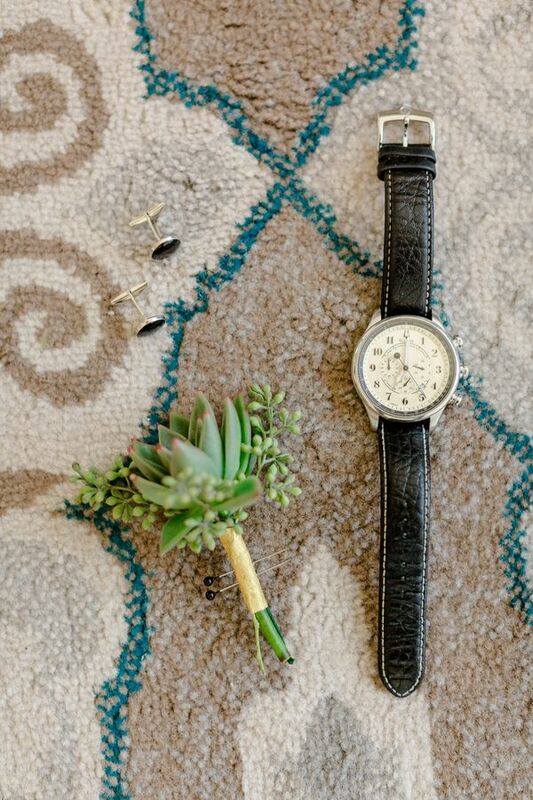 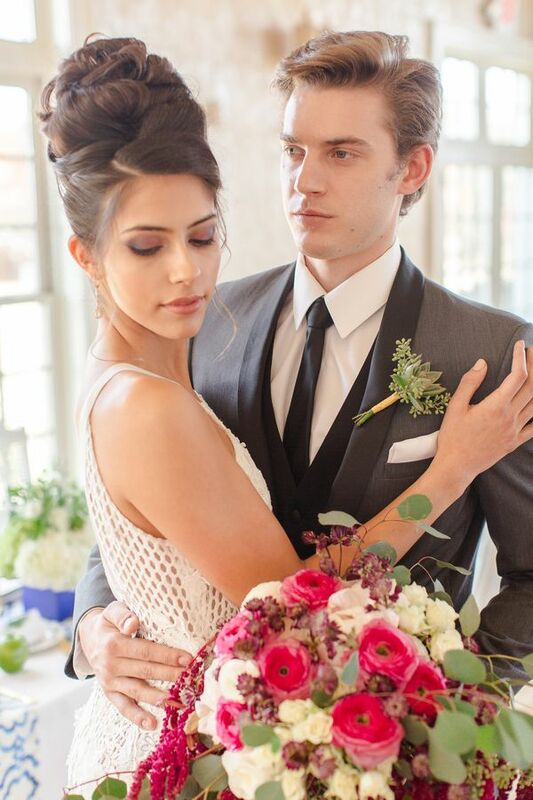 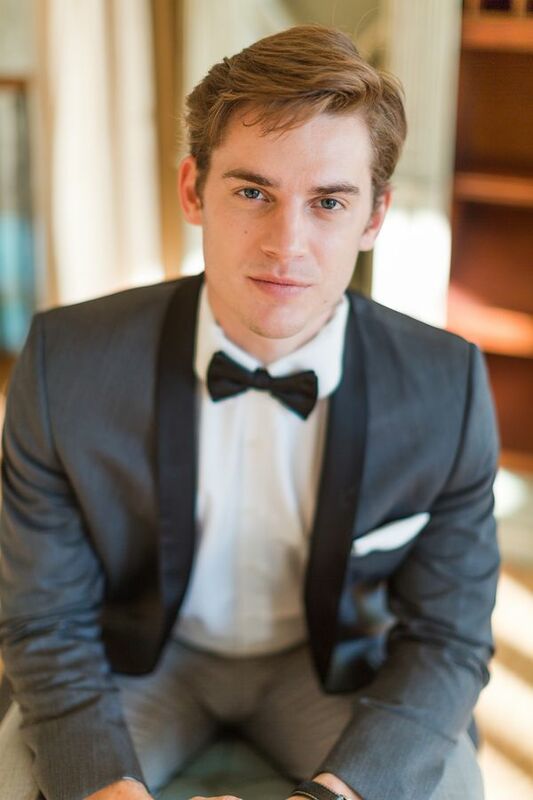 2 Comments " A Modern Botanical Garden Wedding "
This styled shoot is beautiful. 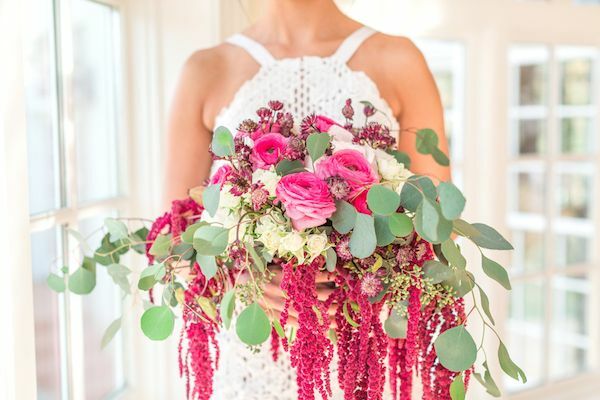 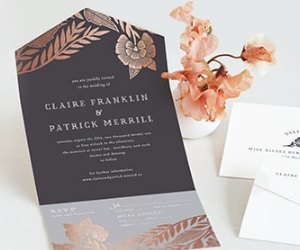 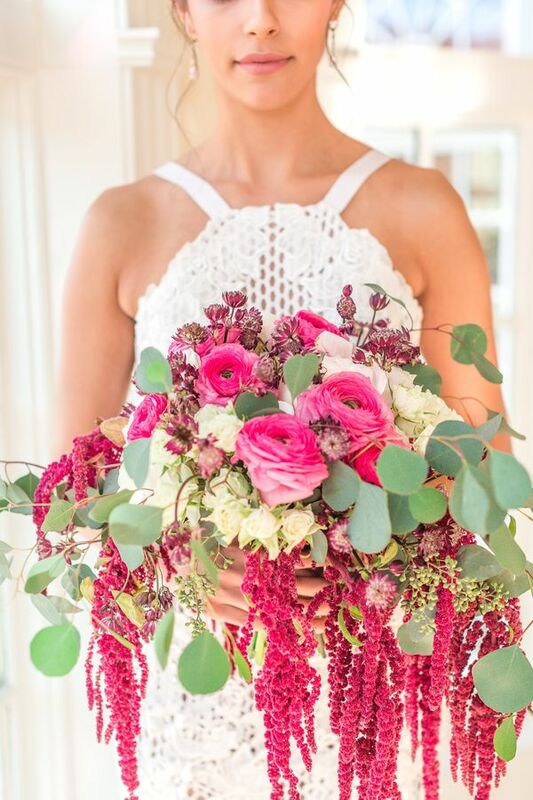 Love the color palette and those florals are beautiful. 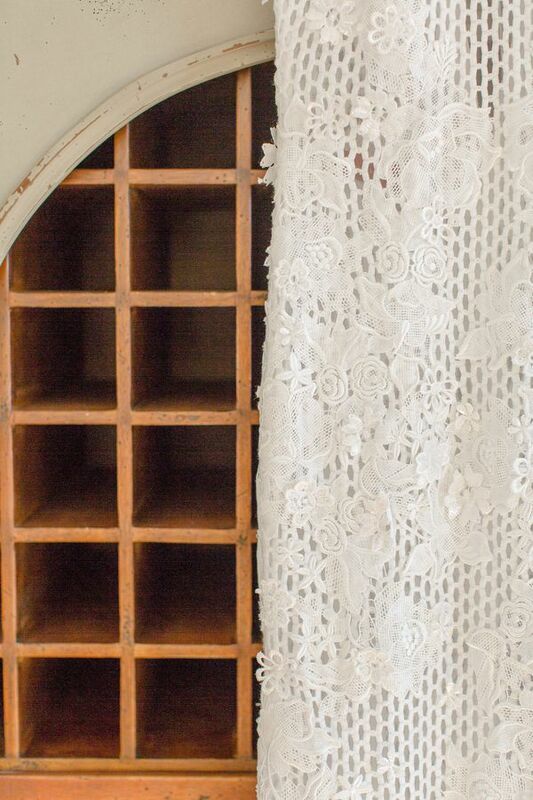 There isn't any detail left behind. 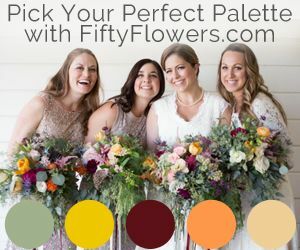 So honored to have been chosen by The Perfect Palette! 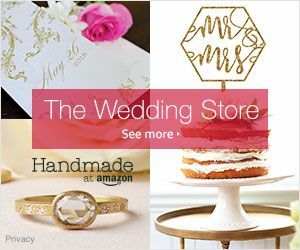 Our goal was to be published here and we did it! 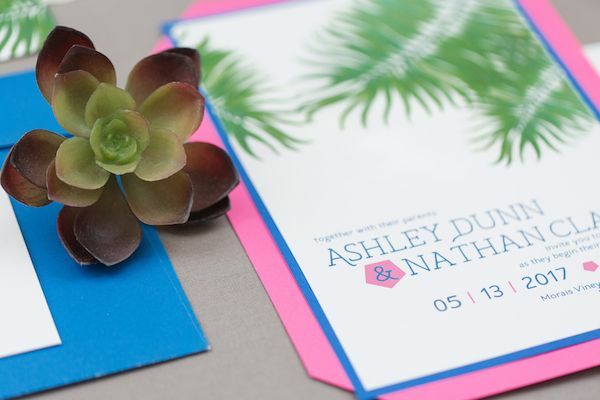 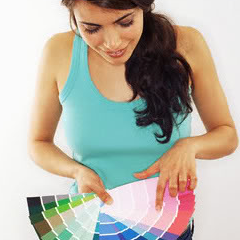 We love the pops of color and to have fun with unusual combinations. 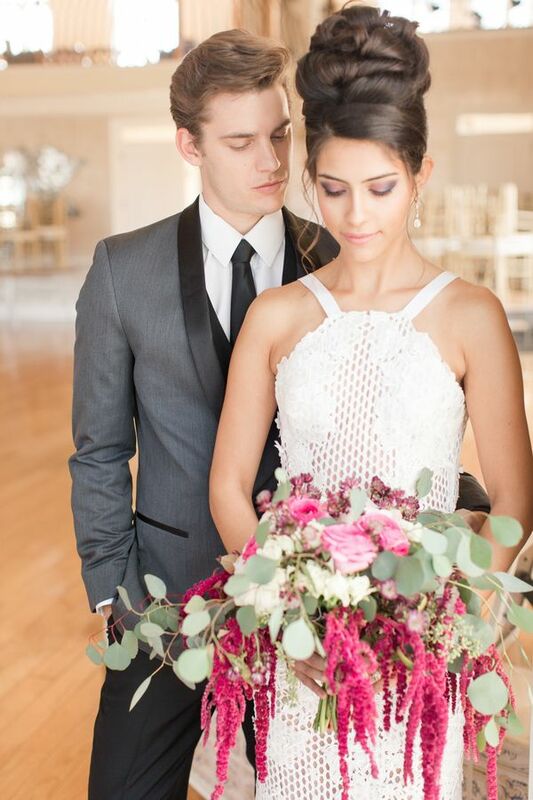 Thanks to all our amazing collaborators who supported and enriched our vision!